1. New – starts a new campaign. 2. Saved – shows a list of your existing campaigns and offers you to delete or modify them. 3. 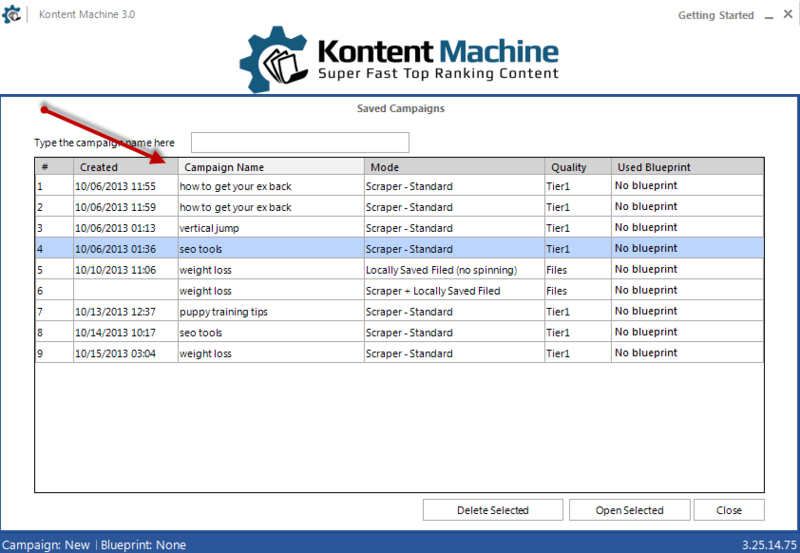 Quick – here you can create a campaign with the least amount of required options. We recommend using it only if you don’t need too much customization. 5. 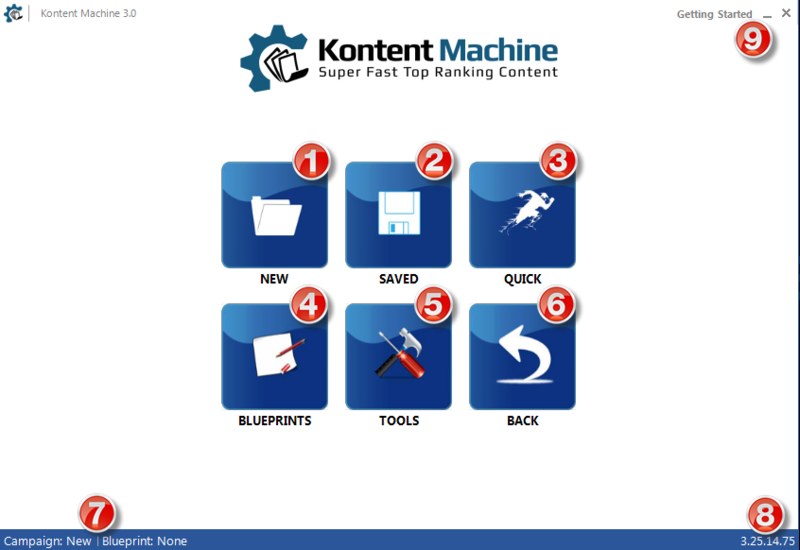 Tools slides in a new panel with the well-known Tools from KontentMachine 2. 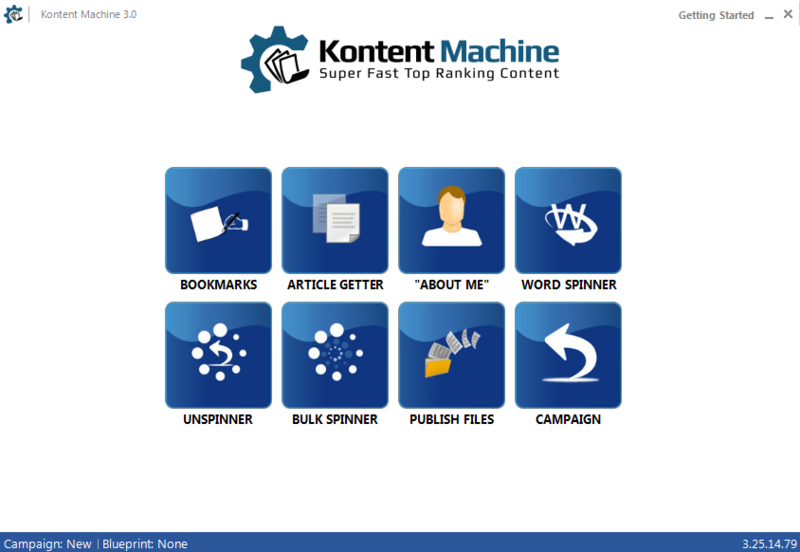 They are designed to help you with quick jobs you might need – creating bookmarks only, scraping whole articles, build “about me” snippets, modify a super-spun article, spin on word/character level, unspin a piece of content in spintax, spin a whole folder of locally saved files or publish them to your self-hosted blogs or Rankwyz. 6. Back takes you back to what you have been working on before coming to the home panel.